If you've ever experienced an eye injury, you know the effects can be devastating, especially when they compromise your vision. It can change your life forever, and that's not to mention the emotional trauma connected to a dog attack. Our experienced dog bite attorneys can help you get compensation for your eye injuries. Call our legal professionals now for a free consultation. We're available 24 hours a day, 7 days a week at 1-866-943-3427, or you can contact us by completing the form located in the top right corner of this page. It's quick, free and easy. There's absolutely no obligation to use our services after you call. We're standing by and ready to work for you. Who's Responsible for My Eye Injury? If you were hurt by a friend or loved one's dog, it's important to know that their homeowner's insurance will typically cover any injuries inflicted by a dog. So, if you're concerned about affecting a friend, neighbor, or loved one, there's no need to worry. Their insurance company will cover the costs. If you, or your loved one, suffered an eye injury after a dog attack, we're here to help. We'll handle the hassles of your case and fight to get you the money you deserve. Since 1982, we've recovered over $1 billion dollars for our injured clients. Check out our verdicts and settlements page for examples of the cases we've won. Let us put our experience, hard work, and know-how to work for you. Don't settle for anything less than you deserve. 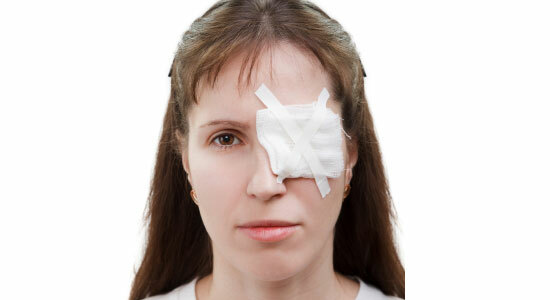 We'll stand up to the insurance companies and make sure you get the maximum amount of money for your eye injury case. Our legal consultations are absolutely free. Don't hesitate to contact us today. We're available 24 hours a day, 7 days a week. Call us at 1-866-943-3427 or complete the form located above for a free legal consultation. We'll review your case and answer your legal questions. It costs nothing to speak with our legal professionals, so we encourage you to call us today. We're available around the clock and are ready to work for you. Remember, there's no fee and no obligation to use our services. We'll cover your upfront costs, and you won't owe us anything until we win your case. If we don't get you compensation for your injuries, then you won't pay us a cent. That's our guarantee. There's never a fee unless we get money for you.